Mold remediation contractors in New York have questions about the use of mold stain removers answered in new report by industry expert Michael Pinto. On January 1st, New York State’s Department of Labor began enforcing Article 32 of the agency’s new Mold Program. It establishes licensing requirements and minimum work standards for professionals engaged in mold assessment and remediation. Given the language, many New York licensees have asked specifically about whether mold stain removing products like the industry’s standard, MMR mold stain remover, were "legal" to continue using. A more comprehensive review of this subject is documented in the white paper, “The Peculiar Place of Mold Stain Removers in the Restoration Industry.” It was authored by Michael A. Pinto, chief executive officer of Wonder Makers Environmental, Inc., and one of the mold industry’s most recognized professionals. To request a copy of the white paper, please contact FastMoldRemoval.com by calling 708-441-7982 or emailing cmh@moldsolutionsintl.com. Mold Solutions, owner of FastMoldRemoval.com, is a Frankfort, IL, based company. 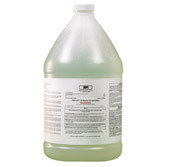 They manufacture MMR mold stain remover and MPI antimicrobial. MMR is the world’s premier mold stain remover. It is a commercial grade mold and mildew stain remover formulated to immediately eliminate mold and mildew stains present on wood and other hard surfaces. 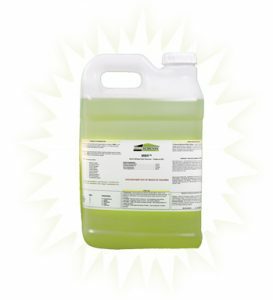 MPI is an EPA-registered antimicrobial, designed to inhibit the growth of damaging microbes such as bacteria, mold, mildew, fungus and algae. 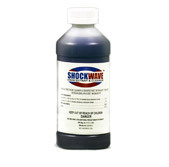 It is ideal for treating surfaces following cleaning and/or after mold remediation activities.